Nelson and Castor acknowledged they paid Facebook to target voters based on their personal information. Facebook founder Mark Zuckerberg hardly finished a sentence as U.S. Rep. Kathy Castor peppered him earlier this month with pointed questions about his company's collection of private data. 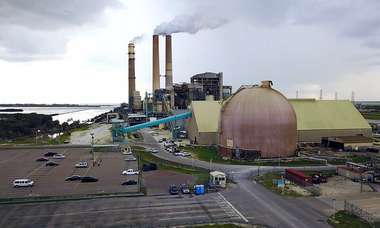 The Tampa Democrat called Facebook's promise to connect family and friends a "devil's bargain." 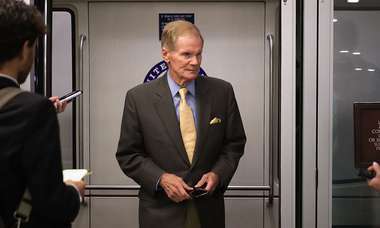 During his turn with Zuckerberg, Democratic U.S. Sen. Bill Nelson accused Facebook of a "pattern of lax data practices." Yet, both Florida lawmakers have paid Facebook for ads that target users based on the personal information the social media platform collects. "His campaign uses them, just like almost every other campaign these days," Nelson spokesman Ryan Brown said. For all the outrage directed at Zuckerberg and his company during his two days on Capitol Hill, politicians are increasingly reliant on the personal information harvested by Facebook and other tech giants to reach voters. And if elected officials decide to take action to regulate Facebook, as Castor suggested they should, they will do so as consistent customers of the social network. Democratic consultant Kevin Cate said the hearings demonstrated lawmakers understand little about how advertisers — including their own campaigns — use Facebook to connect with customers. Most campaigns today target voters using the vast personal information collected by the same company Congress spent two days ripping apart, he said. "It's only hypocritical if they know that it's going on, but the vast majority have no idea what their campaigns are doing with social targeting," said Cate, who was contracted earlier this campaign cycle by Nelson. "As somebody who does this for a living and was watching, it was more frustrating than teaching a great grandmother to connect her printer to Wi-Fi and print from her phone." "They had no idea what they were talking about," he added. The Congressional hearings on April 10 and 11 with Zuckerberg were intended to focus on a privacy breach by Cambridge Analytica, a British political consulting firm founded by conservative donor Robert Mercer and then-Breitbart editor Stephen Bannon. In 2015, Cambridge Analytica gained access to the private information of 87 million Facebook users not intended for third-party companies. But the inquiries from lawmakers extended beyond the scandal to questions about Facebook's underlying business model, privacy concerns and general criticisms of the tech giant. Nelson riffed a hypothetical about posting to Facebook, "I love a certain kind of chocolate," and seeing that declaration turn into advertisements for chocolate. He also asked Zuckerberg if the company might force people to pay for the privilege of not having their data used by advertisers. "Are you actually considering having Facebook users pay for you not to use their information?" Nelson asked. Castor lit into Zuckerberg for collecting information on people even when they're not on Facebook. "Current laws have not evolved and Congress has not adopted laws to address digital surveillance," Castor said. "And Congress should act." Castor also criticized Facebook for purchasing data about people from third-party "brokers." But her campaign bought personal information on prospective voters and donors from other political organizations. Nelson's office declined to answer if he has done the same. Castor spokesman Charles Martínez-Cartagena said her campaign "has purchased campaign advertisements on Facebook and other social media platforms (in addition to television, radio and printed publication advertisements)." The campaign bought email lists "from other political groups in order to engage with larger audiences," Martínez-Cartagena said. However, he did not respond when asked if Castor's reliance on targeted Facebook ads and personal information collected by other organizations undermines her criticism of the company's data collection. Brown, Nelson's spokesman, said the Senator "has no objection to the use of commercial Facebook ads." "He just thinks people should be allowed to choose whether they want to receive targeted ads or not." Meanwhile, another Florida lawmaker, Rep. Gus Bilirakis, R-Palm Harbor, avoided questions on Cambridge Analytica or privacy altogether. Instead, he grilled Zuckerberg on illegal pharmaceutical ads that proliferate on the site and problems a constituent had getting Facebook to remove malicious online attacks. Like Castor and Nelson, Bilirakis' office said his campaign has used Facebook to reach prospective voters. Unlike with the Cambridge Analytica scandal, "the advertisements purchased were consistent with the terms of the Facebook user agreement," spokeswoman Summer Robertson said, and "at no time has the Congressman or anyone working on his behalf gained access to any Facebook user's private information." "For example, the Congressman has told Facebook, I would like to get message x to people who live in a specified area," Robertson said. "Facebook then used its resources (the content of which the Congressman is not privy) to distribute the message to the targeted group." Starting in June, Facebook intends to make campaign advertising more transparent by requiring disclosures on every ad. It will also publish a searchable archive of all campaign advertisements for the public to see who is behind them. But even with Zuckerberg on the hotseat, there's no evidence campaigns will stop using his social network to reach voters. "The same way a newborn store can market to expectant mothers between certain income levels, between certain zip codes who go to certain churches, campaigns can do the same thing," Cate said. "There's no dollar you can spend more efficiently than Facebook, Instagram and Google."